23 November 2018 marks Doctor Who‘s 55th anniversary—not as flashy as the 50th, with all its merchandising, special documentaries, and the worldwide broadcast of a very expensively-made multi-Doctor episode shot in 3D, but it’s still worth noting. For a show to have a near-continuous run for that long (there was that unfortunate fallow period in the 90s after the show’s 1989 cancellation) is an achievement worth celebrating. Andwith its current season in full swing—with a woman in the starring role for the first time ever—there’s no sign of it slowing down, and no apparent end to its reinvention. With the new season (starring Jodie Whittaker), being intended as an easy jumping-on point for new viewers, it’s worth taking a look back at the history of Doctor Who—the greatest show in the galaxy—and providing a sort of starter guide for anyone ready to investigate the show’s glorious past. The basics: The Doctor is an alien from the planet Gallifrey, a member of a society called the Time Lords, who travel through time and space in a machine called a TARDIS, and who have two hearts. They also have the ability to bodily regenerate when they are aged or injured to the point of death. Time Lords are expressly forbidden to interact with the history of the universe, only observe and monitor its progress. The Doctor, however, is a bit of a pariah and believes that the Time Lords are guilty of not using their immense powers to help others in need. The Doctor gallivants around the universe, picking up companions along the way (usually attractive modern-day Earth girls) and encountering monsters and villains like the Daleks, the Cybermen, the Sontarans, and many others. Below is a handpicked example from each of the thirteen Doctors to give new viewers a good sense of what each era of the show is like. These aren’t the best of the best (there are plenty of lists out there about those); rather, these are the really good ones. The solid ones. The ones that carry a season (or a Doctor) and show you exactly what that Doctor is like, what the companions are like, and more or less sum up what the show was like at that point. Ask most Doctor Who fans what the best episodes/stories are and they’ll inevitably say “Genesis of the Daleks,” “Blink,” “The Talons of Weng-Chiang,” “Vincent and the Doctor,” “The Dalek Invasion of Earth,” etc. Those are all brilliant stories, definitely deserving of the praise heaped upon them. Think of the ones below as the best ones from the second-tier. I usually find these to be more fun than the obvious choices. I’m also choosing to stick to a certain length (four-parters for Classics, single episode or two-parters for the New, so never more than 90 minutes). In the Classic era, there are plenty of exceptional stories of six, seven or more episodes (the brilliant “The War Games” is ten parts, for example), but that can be a bit taxing for folks looking for their first exposure to the show. If you enjoy any of the stories listed below, please do look up more from that era. The TARDIS has crash-lands near a village outside of Rome. Rather than get upset about that fact, the crew decides to take a nice long holiday, taking up residence in an unoccupied villa. The Doctor and new companion Vicki head off to visit Rome, where the Doctor is mistaken for a visiting dignitary, the lyrist Maximus Pettulian, who has just been murdered. Meanwhile, Ian and Barbara lounge around the villa until it is raided, and they’re captured and sold as slaves—Barbara is taken to Nero’s court to serve his wife, Poppaea, while Ian is thrown into the lion’s pit by way of a slave galley. While most people would consider the original cast—that being the Doctor, Ian, Barbara and the Doctor’s granddaughter Susan—to be the definitive First Doctor TARDIS team, I think this group works much better together. Vicki is a far more capable and independent character than Susan ever was. And certainly the chemistry between Hartnell and Maureen O’Brien sparks off the screen, as the two actors hit it off immediately and formed a strong bond. 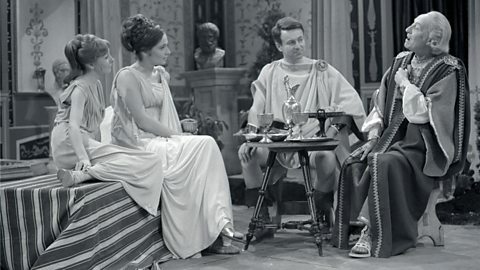 It was rare to do a purely (or even mostly) comedy script back in the Hartnell days, but “The Romans” is a supremely clever farce with cracking dialogue and characterizations. The humor, while ever-present, never outweighs the danger; the script and the acting, particularly by Jacqueline Hill (Barbara) and William Russell (Ian), never fail to convey just how perilous a situation the companions have found themselves in. Hartnell as well is on top of his game; he clearly relished the opportunities the comedy scripts presented him, and his performance is a joy to watch. Writer Dennis Spooner clearly “gets” this Doctor and challenges our expectations of this elderly, refined gentleman. 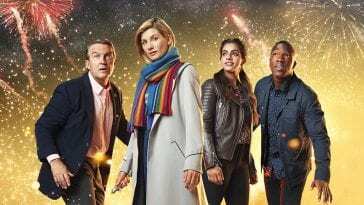 The episode guide on the official BBC website says of “The Romans” that “it is for its innovative use of humour that ‘The Romans’ will always be best remembered, and in this respect it represents a worthwhile attempt at finding new dramatic ground for the series to cover.” I couldn’t agree more. Back in the Hartnell days, the show was always stretching its own boundaries, trying new things, playing with its own formula, and “The Romans” is one of the finest examples of that. Okay, I’ll admit it—this is definitely not one of the more popular Troughton stories, but hear me out: there are a number of reasons why I selected this one. Yes, the story is a bit thin. Yes, the nemeses are a bit naff. Yes, the nemeses’ voices are headache-inducing with prolonged exposure. But as an introduction to the Second Doctor era, this story serves well. First of all, the main cast are all on fire here. Patrick Troughton was blessed with some very good companions, the chief amongst them being 18th-century Highlander James Robert McCrimmon—affectionately known as Jamie—who came into the show in Troughton’s second story and remained for the rest of Troughton’s three years. Jamie and the Doctor are paired here with Zoë Heriot, science librarian from the future. 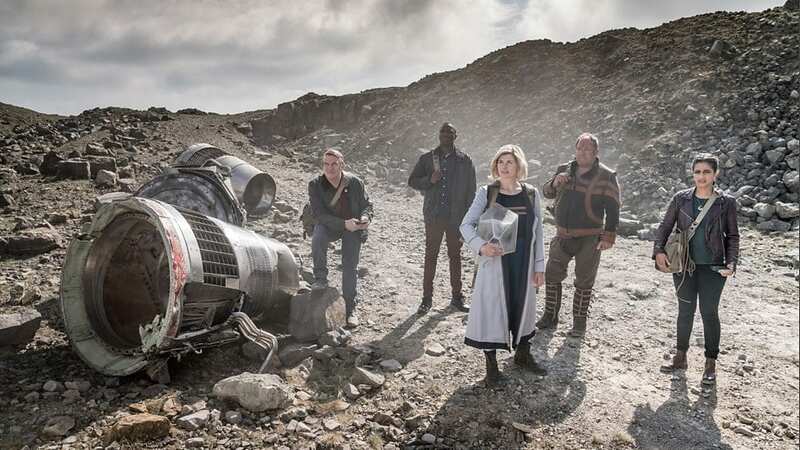 These three actors are magical together, and the scenes between the Doctor and Zoë in the learning center and aboard the Krotons’ ship are a great deal of fun. Troughton’s Doctor has often been described as a “cosmic hobo,” and that’s not far off the mark. He’s something of a mischievous imp—always standing up for the oppressed and downtrodden, but always using humor, feigned clumsiness, and a rather ramshackle persona to put his opponents off their game. For American viewers of a certain age, it’s easy to think of this Doctor as an early prototype of Detective Columbo. Of historical importance, this is the first script contributed by Robert Holmes, who would go on to be one of the greatest scriptwriters in the show’s Classic period, as well as very influential script editor during the early Fourth Doctor era. The germs of many of his later works are evident here, and you can see a writer who understands the show’s format and knows how to write for it. There are many good Troughton stories, but sadly many of them are lost in the mists of BBC mismanagement. Of the currently extant ones, “The Krotons” gives a great introduction to our three main characters and the palpable chemistry between them. This is a fun group of characters that you enjoy spending time with. The Third Doctor era is summed up by many different elements. There’s a predominance of Earth-bound stories, as the Time Lords had exiled him to our little backwater planet for a few seasons. There’s UNIT, a para-military organization with whom he cooperated (when it suited him) during his exile. There’s UNIT’s leader, Brigadier Lethbridge-Stewart, who was introduced during the Second Doctor era but becomes a more-or-less permanent fixture during the Third’s. There’s Jo Grant, the Doctor’s companion for three of Pertwee’s five seasons. And there’s the Master, a new villain that was introduced to give the Doctor his own Moriarty figure. All those elements are present and accounted for in “Terror of the Autons,” and in fact, Jo, UNIT Captain Yates, and the Master all get there start here. Writer Robert Holmes has clearly progressed in his writing for the show in the years since “The Krotons”—”Terror of the Autons” is competent, assured storytelling with compelling characterizations and well-developed plot. There’s no padding in this one. The Master, a renegade Time Lord, has come to Earth to assist the Nestene Consciousness (the noncorporeal entity that controls the Autons) in taking over the planet. Holmes had a knack for taking ordinary, everyday objects and turning them into weapons of fear. With the Autons, anything plastic can be brought to life, so daffodils, dolls, plastic chairs, telephone cords and, most famously, shop window dummies, all become weapons of the Nestene. This gave the original UK audience quite a scare, and the BBC received numerous complaints, especially when the Autons began impersonating policemen and suddenly even law enforcement couldn’t be trusted. Pertwee was never anything short of commanding in his portrayal of the Doctor, and he was never better than when sparring with his equal and opposite, the Master, who brings a debonair malice to show. There is no more iconic Doctor/Companion pairing than the Fourth Doctor and Sarah Jane Smith. They defined Doctor Who for generations of fans, especially American viewers who discovered the show by way of PBS in the late ’70s and ’80s. “Terror of the Zygons” features a second companion, UNIT medical officer Harry Sullivan, in his final story. This is Doctor Who‘s quintessential alien invasion story in the vein of Invasion of the Body Snatchers and The Thing. The Zygons are shapeshifters and infiltrate by assuming someone’s identity and taking their place, with all the “who can you trust” paranoia that comes with that. For his final regular story (he will turn up again later this season for a one-off), the late Ian Marter turns in a wonderful performance as both the captured Harry and his Zygon doppelganger. Of particular note is the scene where Sarah Jane stumbles upon the fake Harry hiding in a barn and he comes at her with a pitchfork. 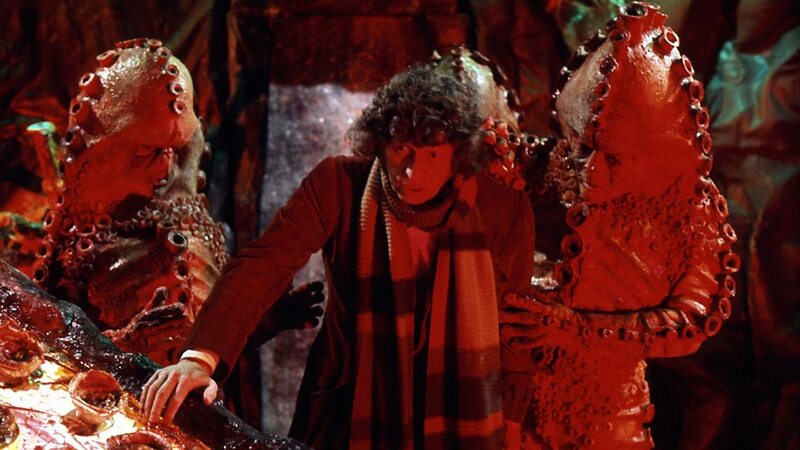 So successful was the design of the Zygons (by James Acheson, future Oscar winner for Dangerous Liaisons, The Last Emporer, and Restoration) that they remained fan favorites even though they never made a second appearance on the show until the 50th anniversary in 2013. On the surface, the studio-bound “Kinda” may look a bit cheap, but the story it tells is a fascinating one that delves into issues such as colonialism, mental instability, the meaning of dreams, ecology, the true nature of evil, and the conflict of differing values and belief systems. The Doctor and crew land on the planet Deva Loka, where the indigenous population—the Kinda—are threatened by a survey mission from Earth with the goal of clearing the planet for colonization. The Kinda prove to be a non-speaking telepathic race who have strong beliefs about dreaming—one must always guard against the dreaming of an unshared mind, as the solitary dream state is the pathway by which evil enters the world. The evil, in this case, is the Mara—an entity that exists in the Dark Places of the Inside but seeks to cross over and possess the body of the dreamer. 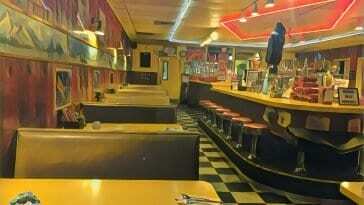 Ol’ Sixie gets a bad rap. A great deal of that stems from his first story, the truly dreadful “The Twin Dilemma,” which aired as the final story of Season 21 (unfortunately immediately after what’s considered by many to be the best Doctor Who story ever, Peter Davison’s swansong “The Caves of Androzani” written by Robert Holmes). A far better introduction to Colin Baker’s Doctor is “Attack of the Cybermen,” the opening story of his first proper season. This is a tricky one, I’ll admit: it’s essentially both a prequel and a sequel to a couple of different Cyberman stories from the ’60s, most particularly their debut adventure, “The Tenth Planet,” from 1966. 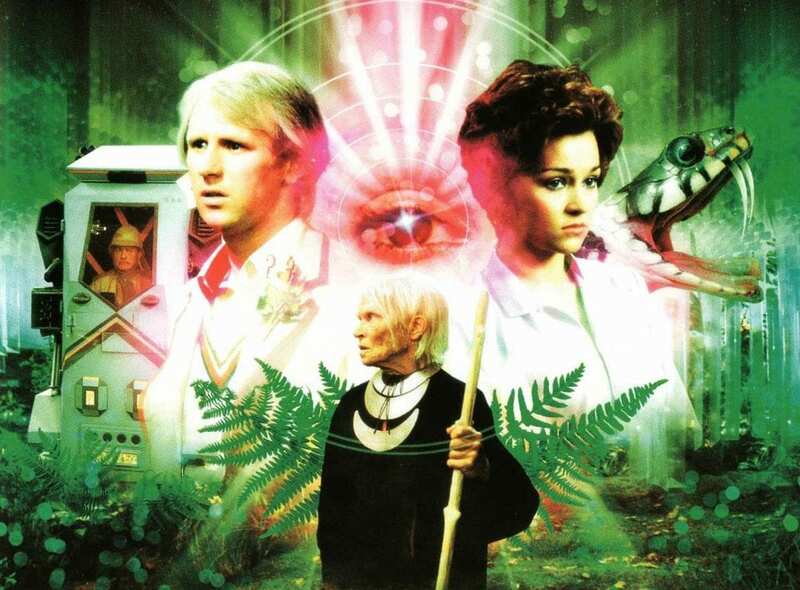 In “Tenth,” set in 1986, the Cybermen’s home planet of Mondas is destroyed in an encounter with Earth. 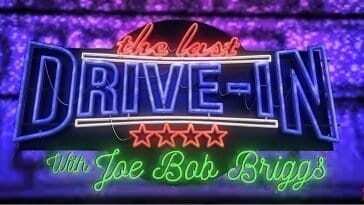 Cut to two decades later with the show still on the air in 1985, they decided to portray the Cybes going back in time one year to destroy Earth by diverting Halley’s Comet so that their own home planet will survive. While it references stories from decades gone by, pretty much everything you need to know is explained as the story progresses, so as not to leave newer viewers stranded. For all the faults of his era, Baker was in full command of his Doctor from the beginning, and when given a script not loaded down with the negativity of bad character traits that plagued him in other scripts, he shone. He’s arrogant and self-assured, no doubt, and even a bit bombastic at times, but not to the point of being abrasive and unpleasant like he is in other scripts from this season, and even he’s even allowed to give us a few moments of charm and wit. This is also a grittier (for 1980s family viewing time) Cyberman story than you’re likely to find in any other time in the Classic series, depicting as it does half-converted Cybermen, a Cyberman crushing a guy’s hands, one of the guest characters shooting a Cybermen directly in the mouth, and more. Keep in mind that while the BBC received many complaints about the story’s gruesome nature, it all looks pretty tame to modern eyes. Still, it pushed the Cyber-envelope farther than any other story had. While “Attack” has a decidedly dark nature to it, there’s also a great deal of fun to be had, such as the Doctor temporarily repairing the TARDIS’ chameleon circuit and it assuming all sorts of silly outward appearances each time he lands somewhere new, and his outburst at his suspicion that he’s being manipulated by the Time Lords. Also, none-too-bright supporting character Griffiths (played by Brian Glover) adds sort of a bullish humor to the story. 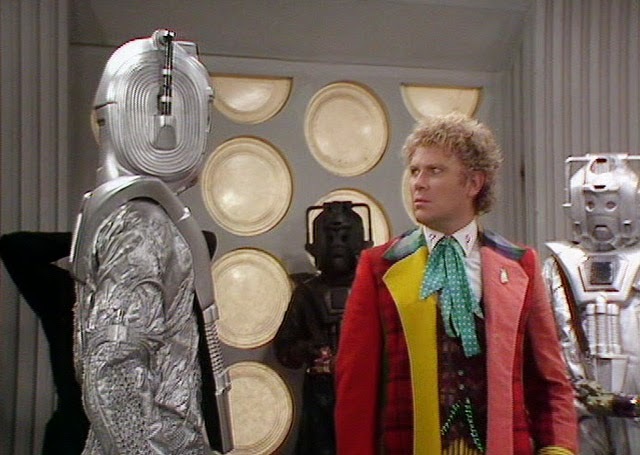 “Attack of the Cybermen” is a quick-moving story with a bit of epic scale to it and it gives a good introduction to the complex character that is the Sixth Doctor. I’ll be honest with you: “Ghost Light” is a tough nut to crack. But once you do, it repays your efforts in dividends. It’s a lush, dark, nearly impenetrable exploration of evolution in all its many forms, played out against the backdrop of a weird, ingrown society within a decorous 19th-century manor. Light, a godlike being from elsewhere (it’s never explained where) is cataloging all life in the universe, and his expedition has reached Earth. The Doctor and his companion Ace encounter Light and his experiment in Perivale, Ace’s hometown, in 1883. 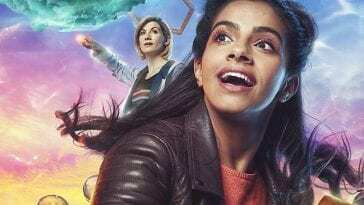 One of the hallmarks of modern Doctor Who is scripting that generates storylines from the companions’ pasts, family lives, romantic entanglements, etc. However, that trend can be traced back at least as far as Tegan and is in full swing in “Ghost Light.” All the scripts from the show’s final season give us new insights into Ace’s background, her troubled past, her fractured relationship with her parents, incidents with her friends, etc., all tying into a loose arc that began all the way back in her first story, “Dragonfire,” two seasons earlier. In “Ghost Light,” the event that serves as the germ of this narrative is action Ace took as a result of a racial attack by white kids on Ace’s friend Manisha. 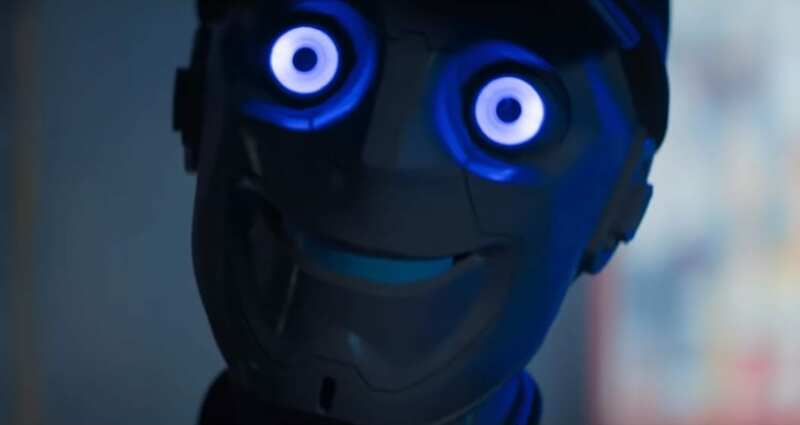 While this occurrence isn’t focused on in the story, it provides context and motivation for Ace’s involvement and is a level of storytelling that Doctor Who had never done before. Sophie Aldred turns in a lovely performance as Ace, a tough girl struggling with the darkness of her past. Likewise, Sylvester McCoy is brilliant as a darker, manipulative, more mysterious Doctor. The relationship between this Doctor and Companion is loosely analogous to that of Professor Higgins and Eliza Doolittle, with him teaching her the ways of the world (or in this case, the universe). As sort of a demonstration of how far she’s come, she gets her own Professor Higgins moment when she instructs one of Light’s minions, who strives to become a proper “Ladylike,” adorably botching Eliza’s most famous line in the process (“The rain in Spain falls mainly down the drain”). “Ghost Light” is a weird story, make no mistake. But once you decipher its bizarre code, you discover a richly textured story unlike anything else in the Doctor Who canon. 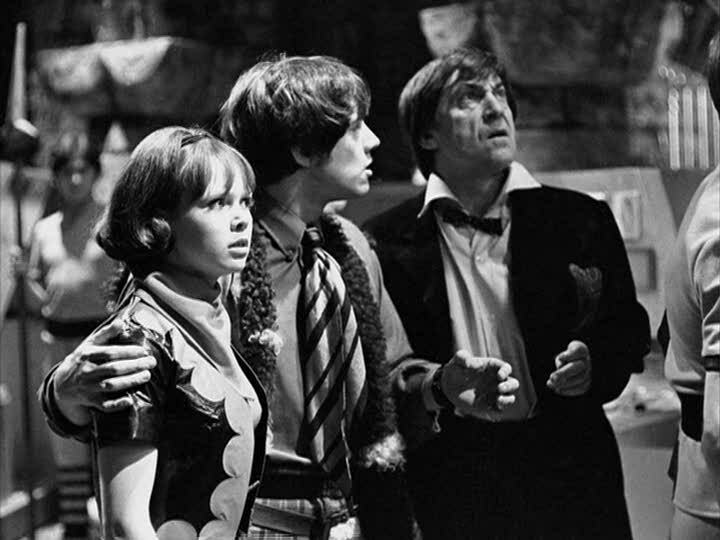 After Season 26, Doctor Who was canceled (in fact, even though it wasn’t the last story broadcast, “Ghost Light” was the last story filmed in the Classic run). 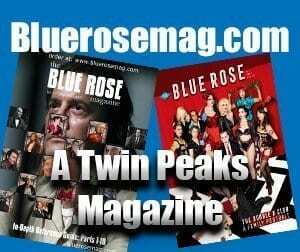 In 1996 an attempt was made to revive it in the form of a made-for-television movie, a partnership between the BBC and the American network Fox. 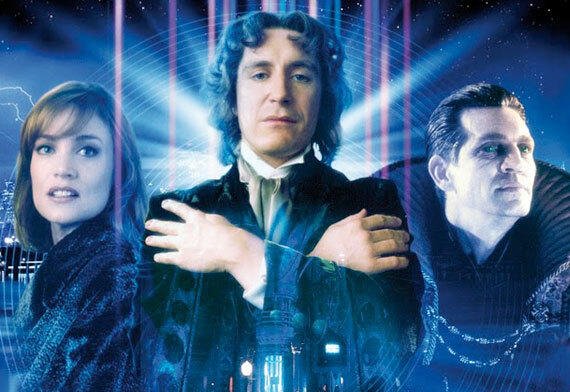 Set in San Francisco but filmed in Vancouver (neither location anywhere near London in a big break from tradition), it featured a strange plot about the rebirth of the Master, the regeneration of the Sylvester McCoy Doctor into a new incarnation, played by Paul McGann, a new American companion (who doesn’t actually join the Doctor in the TARDIS at the end of the film), and temporal damage to Earth due to the opening of the Eye of Harmony. The movie was a mishmash of Doctor Who lore. Suddenly, the Doctor is proclaimed to be half-human (on his mother’s side). Suddenly, the Eye of Harmony (previously said to be the nucleus of a black hole that supplies the Time Lords with all their immense powers) is now part of the TARDIS and can only be opened by a human eye. Suddenly, the Daleks were taking the Master’s body to their home planet of Skaro to put him on trial—rather than just exterminate him on the spot for whatever unrevealed crime against them he had committed. We haven’t featured a Dalek story yet (for shame!) and this one is one of the finest ever. One lone Dalek against an army trapped in a fortified base. The New Series was very cagey about how and when (and how much) it referred to the Classic series, parsing out little references here and there in ways that would hint at the show’s illustrious past but not make it mandatory viewing to understand the new episodes. The one exception: the Daleks. Everyone knows the Daleks! (well, except for Catherine Tate) so there was no need to tease them. Everyone was waiting for them to rear their steely domes on screen for the first time since 1988. 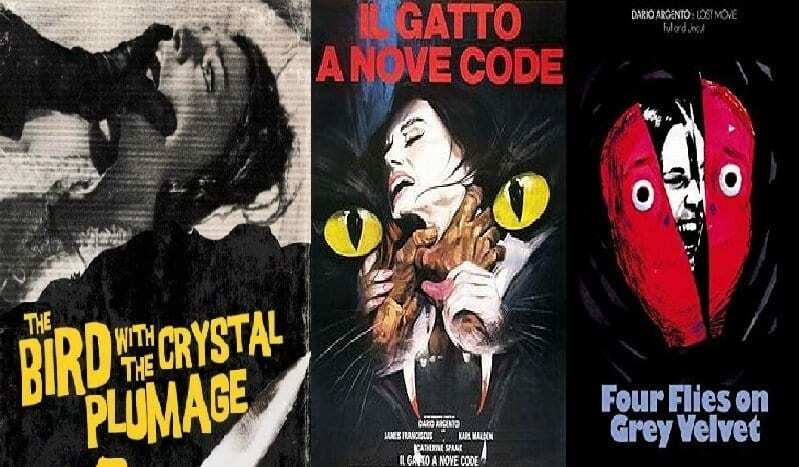 The job of their re-introduction was to modernize them, make them relevant again, and take the things about them that had long been the source of jokes and make them deadly. In other words, they subverted the audience’s expectations, and they did it brilliantly. At only one season, Eccleston is at something of a disadvantage amongst his peers on the show in terms of available episodes to pick from for lists like this. 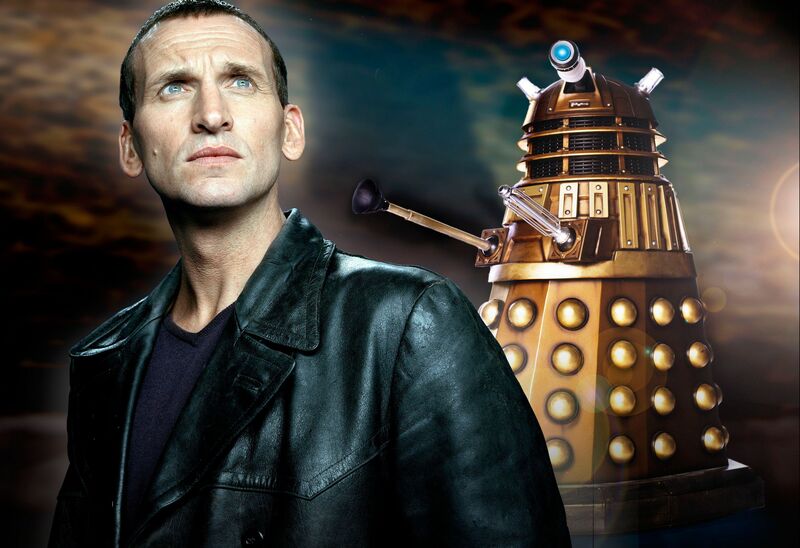 Luckily his one season, the first of the revival era, is a solid one, and “Dalek” is a prime example of Eccleston’s tenure. His Doctor is darker and more aggressive, having just survived a war between his people and the Daleks and wrestling with a good bit of survivor’s guilt over it (in fact, after a couple of hints earlier in the season, it’s in this episode that we learn who the Time Lords were fighting). The Doctor and Rose pick up a stray by the name of Adam, a boy genius who helps mogul Henry van Statten catalog his collection of alien artifacts. In spite of a strong beginning, Adam would have a very short run in the TARDIS (the following episode would be his last). The prize in van Statten’s collection is a war-ravaged captured Dalek, which has remained silent and inert—at least until the Doctor shows up. “Dalek” is a tense thrill ride that shows two survivors of a long war facing off against each other and questioning their own natures. And it makes the Daleks what they always were intended to be—nearly indestructible single occupant war machines. As it happens, there was never again a Dalek episode in modern Who as strong as this one (although a few, like “Asylum of the Daleks” in Series Seven and the Series Ten opening two-parter “The Magician’s Apprentice” and “The Witch’s Familiar” come awfully close). The Sontarans were first introduced in 1973 in “The Time Warrior,” which also introduced Sarah Jane Smith to the world of Doctor Who. They were occasional opponents throughout the ’70s and ’80s. 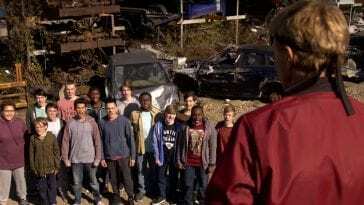 They made their big reemergence in Series Four two-parter in 2008. The Doctor has been traveling with Donna Noble, played by Catherine Tate, and are joined by the Doctor’s former companion Martha Jones (Freema Agyeman), now working with UNIT. (The reason I picked this story to feature is that I couldn’t decide whether to include a Martha or a Donna episode, so I went with one of the two that they’re both in). The Sontarans, diminutive warmongers grown from clone batches, attempt to terraform the Earth and turn it into a hatchery. 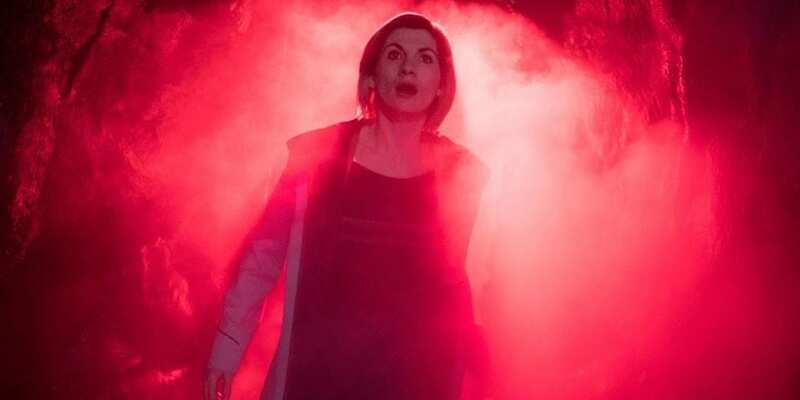 They pull a Zygon-esque trick by capturing Martha and growing a clone of her to infiltrate the human opposition, and it turns out to be one of the best parts that Agyeman was given while on the show. Martha was a great character but the writers did her a great disservice by having her always in Rose’s shadow—most of her character moments fell into the “I’m not Rose Tyler” category. Here, though, freed from that baggage and in a new role as UNIT operative, Martha proves herself to be a strong, capable, well-rounded character. Donna, too, is at her best in this episode, using her skills as an office temp to uncover evidence that other characters would have missed. For their part, the Sontarans are much more fleshed out here than they ever were in the Classic series, to the point of taking elements of their backstory and expanding upon it (for instance: it’s always been said that the probic vent on the back of their neck is their only weakness in war; here, we get a reason for that and a battle philosophy that’s evolved from it). The trio land on the planet Apalapucia, the second greatest holiday planet (the first one is apparently hideous, according to the Doctor), only to find the planet under quarantine as result of a plague that affects the two-hearted Apalapucians. They become separated from each other within the same room but in two different time streams, Amy in one that progresses much faster. 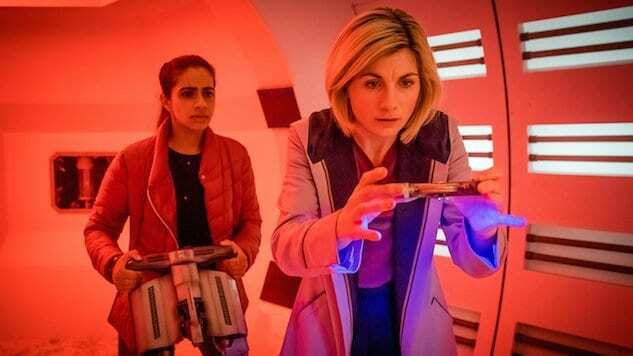 By the time the Doctor and Rory find Amy again, 36 years have passed for her—she has effectively lived half a lifetime abandoned on an alien planet. Karen Gillan’s performance as Amy is fascinating to watch; she changes her mannerisms, her body language, her attitude, and the pitch of her voice to bring Older Amy convincingly to life. 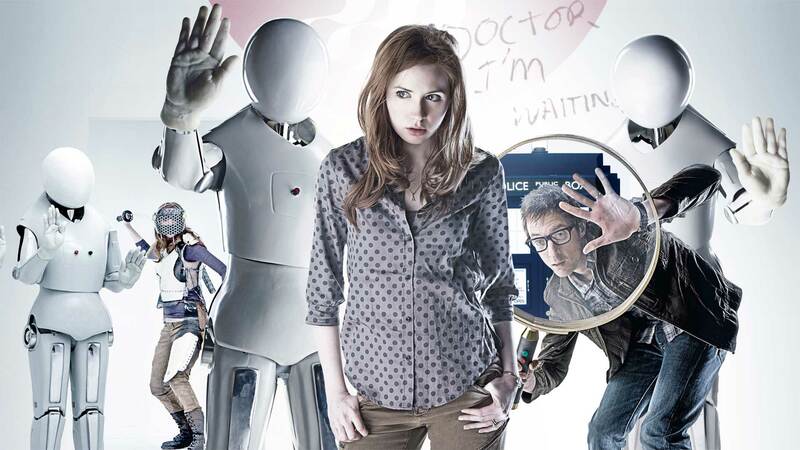 The Doctor and Rory are eventually able to reconnect with Younger Amy as well, and there’s a heart-wrenching moral debate about what to do with the two of them. 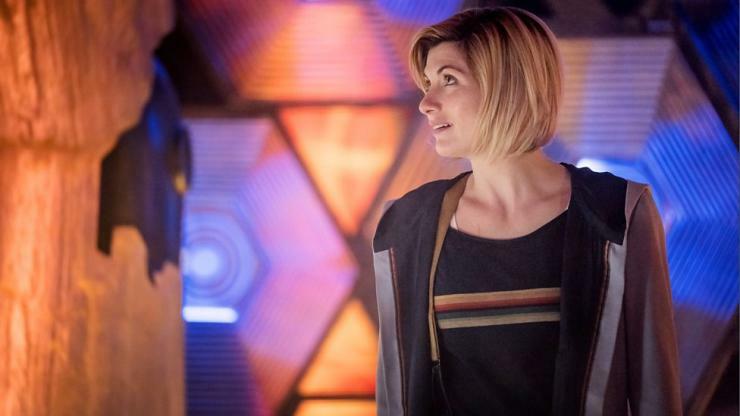 With the Doctor being relegated primarily to the TARDIS (he’s susceptible to the plague since he’s from a two-hearted race) the episode’s emphasis is squarely on the two companions. Amy is stranded in a hostile environment for decades and must adapt to survive, and Rory is desperate to save her, all in the course of one afternoon. The ending, as Rory is forced to make a dreadful choice, packs an emotional wallop. The first true classic of the Capaldi era comes right in the middle of his first season from the pen of new scriptwriter Jamie Mathieson. The Doctor and Clara have had a bit of a row at the end of the previous episode, and she is determined to not travel with him any longer. 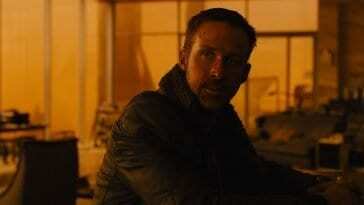 Instead, he treats her to one final adventure, and what unfolds is a murder mystery on a space train. And it’s a very peculiar mystery—a moldy old mummy appears before you and you will be dead in 66 seconds. No one else can see the mummy, only his intended victim. 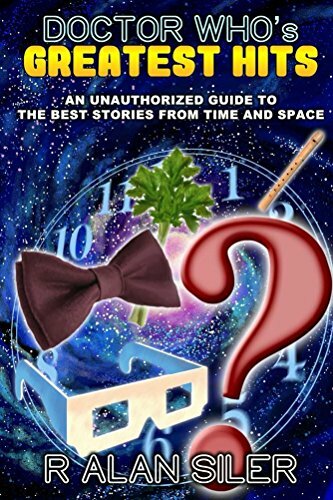 It’s a quick-paced story with lots of twists, but at the heart of it is the Doctor and his morality. At the beginning of the season, as the Doctor has just regenerated yet again, he begins to question this new person that he’s become, at one point asking Clara “Am I a good man?” That’s sort of the theme of this season—who has the Doctor become and can we trust him? He’s definitely a darker persona than we saw in the past seven years. However, this script still allows Capaldi to have a bit of fun, and it’s enjoyable to see how the Doctor lights up when he finally gets to see the mummy for himself (even though it means he’ll be dead in 66 seconds). Two-thirds of the way into the episode, the story suddenly shifts from period drama to futuristic sci-fi thriller. Jamie Mathieson would go on to write three other scripts in the next two seasons and became one of the defining voices of the Capaldi Doctor. 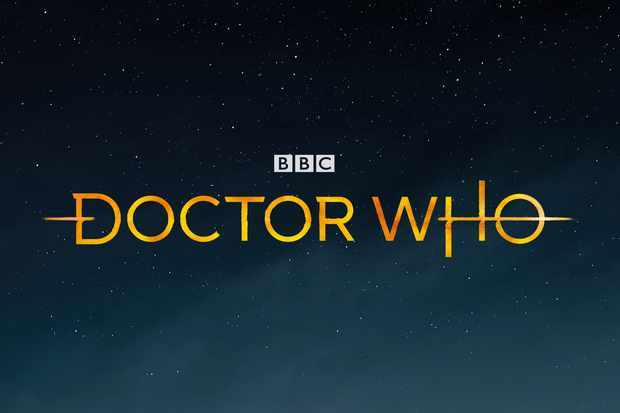 Thirteenth Doctor (Jodie Whittaker): 2018 – ? 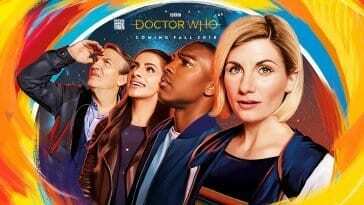 As we’re only about 3/4 of the way through the newest Doctor’s first season, our choices are somewhat limited, but I thought I’d go with the most recent one: “Kerblam!” aka “Amazon in Space!” The Doctor receives a package from Kerblam!, the largest retailer in the galaxy, and the packing slip in it includes a cry for help. The gang goes undercover in the Kerblam!  fulfillment center to solve the mystery. This is a very smartly-written episode. Each of the main cast gets to make a significant contribution to the plot (a tricky feat with three companions), which gave this one the truest feeling of an ensemble piece this season. 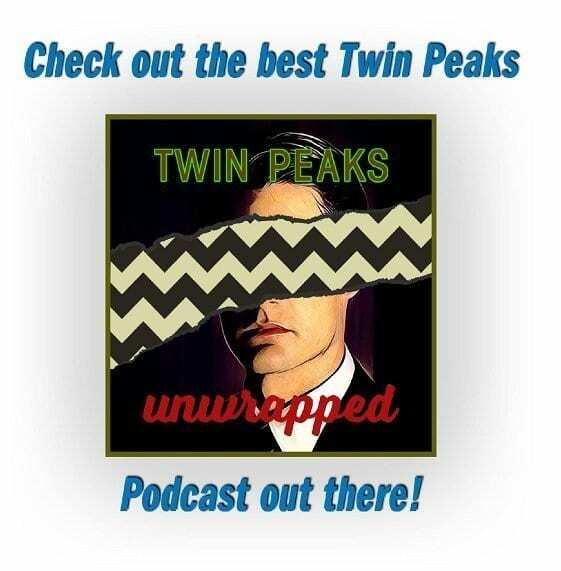 As the episode moves along, it continuously changes your expectation of who the “bad guy” is. Is it one of the humans? Is it a robot? Likewise, you’re always second-guessing who sent the distress message. Was it one of the humans? Was it a robot? It leaves you guessing and reevaluating all throughout. Most significantly, the actual villain, once revealed, is shown to have not necessarily villainous motivations—and in fact, it’s quite easy to understand and identify with his plight. That’s good writing. And while the villain’s chosen murder weapon is certainly a surprise, it’s also very impractical and rather silly, the only weak spot in the episode. 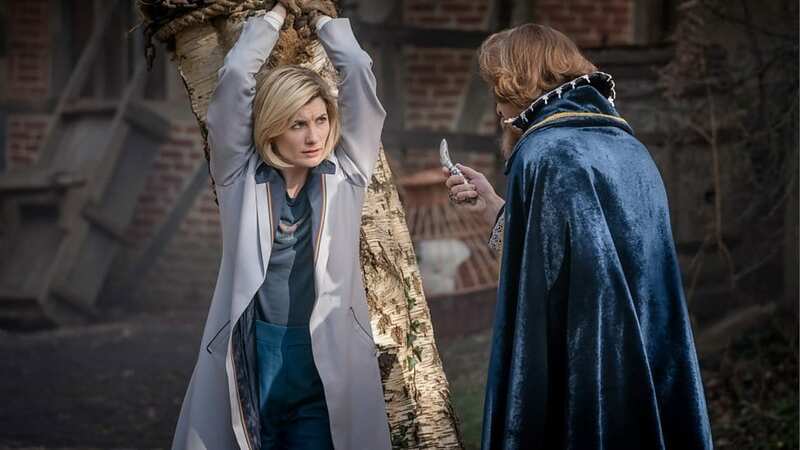 Whittaker gets a lot of opportunity with this script to show what her Doctor is made of—and as we’ve seen all season, she’s exactly the Doctor that we’ve known for the past 55 years. I look forward to seeing what Jodie Whittaker will be bringing to the part in coming seasons. You can find Classic Who on the streaming service BritBox and on the website Daily Motion. New Who is available on Amazon Prime. To read more about these stories and many others, check out my book Doctor Who’s Greatest Hits: A Guide to the Best Stories From Time and Space, available here.